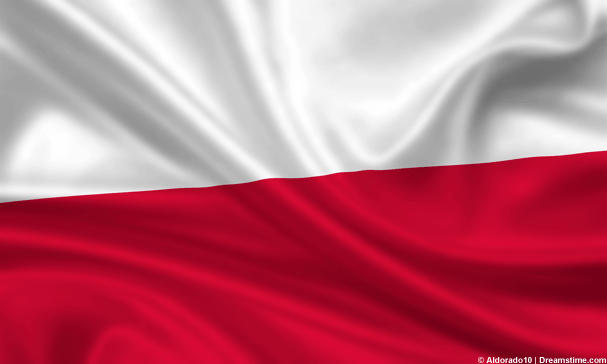 Poland has become the latest European state to start to use internet filtering in an effort to combat the impact of cybercrime. The new legislation, which came into law on 29th July, has been passed by the ruling Law and Justice Party and comes just six years after former President Donald Tusk considered and then rejected the idea as too expensive and ineffective. To say the current version was hurried into law is a huge understatement too. It was passed by the Polish parliament without any debate or public consultation and the President, Andrzej Duda, signed it into law in within a week. When laws are passed that swiftly, and with such a lack of proper scrutiny, it usually means there is something to hide in there. And as would be expected, privacy campaigners are already concerned about the potential threat it could pose to freedom of expression and privacy. The new law uses various vague and open terms to determine when it can be implemented. Most notably it talks about an “event of a terrorist character”, which could easily be applied to a whole host of different situations. They have also argued that the law is discriminatory as the anti-terrorist measures it contains are aimed at non-Polish people, which of course includes citizens of other EU countries. And it also offers a threat to the freedom of assembly as well. But it is the internet filtered parts of the law which have caused the most consternation. With pretty much all public discussion about the bill avoided, the government did not face the same strong public protests it had against similar measures back in 2010, which were related to Polish gambling laws. What public statements have been made are clear that this is aimed solely at terrorists, and the sites they might be using to plan an attack on Polish targets. Yet it is also thought that there is a list of gambling sites that is also going to be blocked, despite the public outrage at this proposal six years previously. Sites which violate copyright are also thought to be in the mix too. There are a few saving graces to the law. There is an element of judicial scrutiny built in before a site can be blocked, and the block can only be for a period of no longer than 30 days, although this can be extended. But there is no right to appeal from the owners of the sites being blocked, or any consideration given to user rights in the new law whatsoever. Given the vague terms being used in the definitions of when the law can be applied this is a particular concern. It is, of course, understandable that a Government takes steps to be able to act in the event of a genuine terrorist threat. But this should not be at the expense of curtailing the rights of law-abiding citizens. In this regard, Poland seems to be following the trend set by the USA, the UK, and other European states. Hate speech and promoting terrorism is something to be addressed, but the line between hate speech and freedom of expression is a very blurred one, and laws such as this one are inevitably going to get the balance wrong at some point. Some would say more often than not. It has already been proved with the protests back in 2010 that the Polish people are strongly opposed to this law. But as it is already in place, rather than protests on the street, what we are likely to see is more Polish people turning to solutions such as a VPN to get around any internet filtering and ensuring that they still have access to a full, unfiltered internet.